The following is an updated version of an article I wrote last year. It’s increasingly common that with the announcement of the Academy Award nominees or winners, people in the public take offence to what they perceive as snubs or self-congratulatory irrelevance. For example, many were upset that popular action movies like Star Wars and Saving Private Ryan lost out to Annie Hall and Shakespeare in Love respectively, and more recently many were angered when Brokeback Mountain lost out to Crash. Last year, people were up in arms about the lack of major nominations for The Dark Knight and The Wrestler, and this year some were upset that Star Trek missed out. To understand why this happens, it’s necessary to take a step back and look at the way the Academy of Motion Picture Arts and Sciences (AMPAS) works. First of all, it’s important to realize that the Academy is a diverse body of 5,777 eligible voters, all of whom are industry professionals. They do not vote as a single block. There is a tremendous amount of subjectivity involved. No two people are going to agree on anything let alone six thousand people. Just look at any two 10 lists of 2009: there’s very little agreement. Yet everyone tends to think that their opinion is somehow objective, believing that saying “I know what I like” and “I know what is good” are always the same thing. That’s not true for industry folks or critics, so it’s certainly not true for the general viewing public. Sadly, the public’s taste can be highly dubious. On many weekends, the box-office champion is usually the one with the worst reviews (e.g. Transformers: Revenge of the Fallen; G.I. Joe: The Rise of Cobra; or The Twilight Saga: New Moon). So who becomes a member of the Academy? It is to some degree a private club. You have to be in the industry, and be sponsored by at least two members of your branch (ie. actors’ branch members sponsor actors, writers sponsor writers, etc). The proposed members must then receive the endorsement of the branch’s executive committee, and then their name is submitted to the Board, which issues the invitation. The invitee is interviewed by a small panel before finally being officially accepted. Members can only belong to one branch of the Academy. Academy Award nominees are automatically considered for membership, but not automatically invited and with the Academy tightening its admissions rules in 2004 to aim for a more international, youthful and indie membership, there are no guarantees. So while Adriana Barraza (Babel), Sergei Bodrov (Mongol) and Florian Henckel von Donnersmarck (The Lives of Others) got in, others like Ellen Page (Juno) and Amy Ryan (Gone Baby Gone) did not receive invitations. Not everyone who is invited accepts. George Lucas is a holdout. Woody Allen has been invited 16 times and has yet to accept. This past year's inductees included Viola Davis, Casey Affleck and Anne Hathaway, and some non-nominees such as Emily Blunt, James Franco and Emile Hirsch. Actors make up the largest percentage of the Academy, accounting for over a fifth of its members. Come award season, it’s up to the members of each branch to nominate those in their category. Generally, only AMPAS members in the directors’ branch can nominate directors, only editors can nominate editors, and so forth. But with many in the industry who dabble in multiple fields, ie. such as actor George Clooney who also writes, directs and produces, they are slowly becoming more flexible in allowing some crossover. Everyone gets to nominate best picture. The nominations deadline this year was January 12. For most of the categories, they use a preferential voting system. Here is a simplified explanation. They nominate five and rank them in order from 1 to 5. To get nominated, a picture or candidate must receive a number 1 rank from a fifth of the voters. Usually only a couple or so reach that at first. Those ballots for successful candidates are then put aside – they want all voices to be heard but once you’ve been heard then you retire from the discussion. They take the film with the fewest number 1 votes and make those ballots’ number 2 choices their new number 1 choice and count again. They repeat that process until 5 choices have crossed the one-fifth threshold. A nominee must receive at least one first-place vote. Not everyone realizes that not all 5 choices on a nomination ballot will be considered; in fact only one is. As a result, a film or candidate can receive almost 20% of the votes in the 1 ranking, but if there aren’t enough 2nd and 3rd place votes to put it over the top, then that choice doesn’t become a nominee. Neither will a potential nominee make it if they are on every ballot but only in the 4th and 5th place ranking on all of them. That is the nature of preferential voting, a system designed to allow for multiple winners rather than a single choice and used in Australia since 1902. In which categories are nominees selected differently? Two notable categories are exceptions to this preferential system. 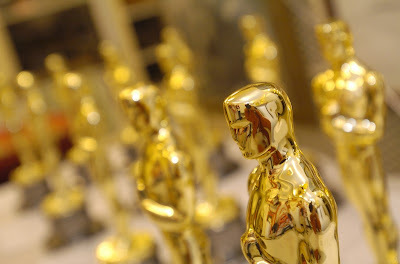 The foreign-language film category receives its nominations directly from foreign countries. Each country is allowed one submission. This works against countries like France that always have many outstanding films. Then several hundred members volunteer to watch the film submissions. Because there are so many submissions (65 countries submitting this year) they usually break the members and the films down into groups of four, with each quarter of the viewers watching a quarter of the submissions. Instead of just taking the 5 top-ranked choices, they Academy created 2 additional steps intended to correct for the controversial oversight of choices such as City of God, All About My Mother and 4 Months, 3 Weeks and 2 Days. The top 6 choices move on to stage 3. The executive committee that runs the foreign language branch then tops up that list with 3 more choices from the original submissions to make a short list of 9. Then at stage 4, an ad hoc committee of 10 invited New York members, 10 invited Los Angeles members and 10 randomly picked members from the original group of volunteers watches all 9 movies and brings it down to their top 5. Although the names of this group aren’t published, a previous group included Jonathan Demme, John Turturro and Howard Shore. In 2006, AMPAS opened up the rules to allow countries to submit films which were not in the language indigenous to the submitting country. Canada’s Water was the first film to benefit from that rule change: it was in Hindi. The other category that has a more complicated and recently introduced nomination process is Best Song. Voters are asked to grade each potentially nominated song twice on a scale of 6 to 10, once for its merit as a song, and then for its use in the film itself. Songs must score at least 8.25 to be nominated, and they take the top 5 choices. If there aren’t at least 5 that score 8.25, they take a minimum of 3. Voters are given a screener of the portion of the film where the song appears so they can judge how it works with the visuals. This is meant to reward songs that are used in the film itself, rather than the end-credit ballads that had been proliferating. So while last year’s “Jai Ho” from Slumdog Millionaire and “Down to Earth” from Wall-E were end credit songs, they benefited from the lively visuals. Springsteen’s song “The Wrestler” was an unfortunate casualty by being played over black, even though it was an intentional and artistically correct choice. This year, the Academy decided to expand the Best Picture field to 10 nominees. The reasons were primarily to include a wider range of contenders, hopefully of the type like last year’s The Dark Knight which some felt was unfairly excluded (though I think its exclusion was correct). The feeling was that this would help build their audience as well, since viewership is increases when viewers have seen one or more of the Best Picture nominees. It turns out the expansion wouldn’t have been necessary this year because the blockbuster Avatar would have been included anyhow and guaranteed a larger audience. Studios play a part in the nomination process and jockey for position by trying to gently persuade voters to nominate their films. They run ubiquitous “For Your Consideration” campaign ads in the industry’s trade magazines. They try to generate positive buzz however they can, whether it’s critical reviews or star power on the red carpets. Like election signs, they aren’t a guarantee but they help and it’s hard to win without them. Masters of campaigning like the Weinsteins have been able to pull off surprises like the five nominations for last year’s The Reader. And it’s here that certain hard choices have to be made. Studios often have a dilemma where they must decide in advance which movies they are going to back. They do not want to be in a position where they are dividing their resources for their campaign and their votes for the big awards. They don’t want one of their nominees to play a Ralph Nader and allow another studio to win. That has happened too often in the past and the studios have learned their lesson. One of this year’s casualties of this type of planning was Shutter Island. It was initially scheduled for a winter release, but early reviews were mixed and it was moved to late February so that it would not interfere with Paramount’s more certain Oscar candidate Up in the Air. The nominees were announced on the morning of February 2. The whole process was delayed by two weeks this year to avoid overlap with the Winter Olympics. Then after the ballots are mailed out, members can vote on all of the categories, not just their own branch. The exceptions to this are the following categories: documentary feature, documentary short subject, foreign language film, animated short film and live action short film. Those ballots are only sent after verifying the voter’s mandatory attendance at special member screenings. Since those with the flexible enough schedule to attend the screenings tend to be the oldest AMPAS members, the frequent complaint is that these categories skew towards older, conservative and frankly Jewish tastes. To vote, the members simply select their choice for "best" in each category. This year, there is an exception: AMPAS decided to use the preferential ballot for the Best Picture category, similar to the one described above for the nomination process. The major difference is that the winner would be the one that eventually achieves a majority, rather like a political leadership race. This has caused much confusion and led to many misguided attempts to skew the results one way or the other. At this point, some of the campaigning can get nasty, especially when the Weinstein brothers are involved. It is believed by many that the Weinsteins were responsible for rumours falsely accusing A Beautiful Mind’s protagonist, John Nash, of being anti-Semitic, as part of the campaign for In The Bedroom. When their film Gangs of New York was up against The Pianist, grand jury testimony from Polanski's 1977 sexual assault case was released as was a column supposedly by Oscar-winner Robert Wise praising Scorsese's film. The column turned out to be ghost-written by the studio publicist. Last year, Harvey Weinstein pushed hard for the completion of The Reader, believing it to be his best chance for Oscar contention. An overworked Stephen Daldry was busy preparing to launch the stage version of Billy Elliiot while doing post-production on The Reader. It got so contentious that producer Scott Rudin took his name off the film in protest. After Weinstein managed to pull off surprise nominations including Best Picture, we started hearing stories about a Slumdog Millionaire backlash, that people were tired of it and that its filmmakers exploited the children. Weinstein denied being the source of these stories, but it’s hard to imagine them coming from anyone else. This year, he boldly predicted victory for Inglourious Basterds, and we’ve heard nasty stories about its main competitors Up in the Air, Avatar and especially The Hurt Locker. Voters generally take their responsibilities very seriously. To see the range of thinking possible with voting members, take a look at this article from 2007 where three Academy members – a writer, an actor and a producer – anonymously give their picks and their reasons for those choices. The reasons are sound and indeed quite convincing, yet all have very different choices. Ballots were due on Tuesday, March 2. Then PricewaterhouseCoopers accountants Rick Rosas and Brad Oltmanns tally the votes. They work in complete secrecy and are the only two people who know the results before the envelopes are opened. As with any democratic process or election, the votes can be close. "We have had exceedingly close [results], extremely close," Rosas acknowledged last year. "This is my eighth year, and I definitely recall having to recount a couple of times for best picture." So the voting is often far closer than we realize. With 5 nominees in most categories, it theoretically possible for someone to win with as little as 20% + 1 votes. The system is very complicated and is not perfect, but as they’ve done with the song and foreign film categories previously and now the Best Picture category, they do try to improve however they can. Every change, however, will have its controversies and “snubs” and they will never be able to please everyone. I’ve been upset more than once by their choices, but they get it right more often than people give them credit for. I happen to have agreed with their selections of Annie Hall, Shakespeare in Love and Crash. So relax and take the Academy Awards for what they are: a yearly celebration of films, most of which are quite excellent. You will likely never completely agree with all of their choices, since in all likelihood there weren’t any AMPAS voters who agreed with all of them either. And if you really want to have your say, you can always join the industry and see if the Academy will have you as a member. In the meantime, good luck on your Oscar pool!